The NorthEast ComicCon & Collectibles Extravaganza has always been on the cutting edge of experiential entertainment for modern and nostalgic fans of popular culture. Since the 20th century combining collectibles with celebrities and music, now adding ComicsCon in conjunction with the Boston Comedy Festival Nov. 23-25 at the Boxboro Regency Hotel & Conference Center. The comedy will include tributes, stand-up, improv, panels and live podcast recordings. The fun begins on Friday Nov. 23 with celebrity guest Billy West, voice actor of Ren & Stimpy, Doug, Red M&M and many cast members of Futurama signing autographs and doing photos with fans. 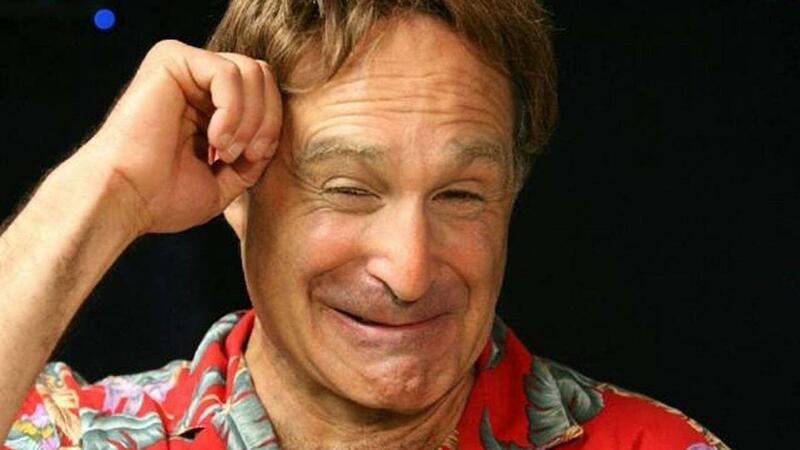 Friday at 7:00 pm, The Regent Theatre Arlington and the Boston Comedy Festival presents comedian Roger Kabler performing his “Spirit of Robin Williams” tribute show, an incredible journey into the fun and depth of a timeless comedian. Opening the show will be historian and actor Paul Norton as “Mark Twain, Humorist.” Admission is a separate guaranteed seat ticket for only $20 in advance, $30 at the door and this admission ticket also includes a weekend pass to NEComicCon. Talent will be signing autographs at NEComicCon from 4-6 pm on Friday. 2018 was a big year for women in Boston’s comedy scene, with four of the eight finalists this year being funny females. Boston’s own Erin Spencer, Kathe Farris, and Emily Ruskowski each had amazing sets, each with their own original styles. Friday at 9:00 pm, the Boston Comedy Festival Presents ComicsCon Women of Boston Comedy Festival Stand Up Comedy Stars, featuring Carolyn Plummer, Erin Spencer, Kathe Farris, and Emily Ruskowski. Admission is a separate guaranteed seat ticket, $20 in advance $25 at the door, and this admission ticket will also include a weekend pass to NEComicCon. Erin Spencer is a Boston-based comic whose dispatches from life as a single transgender woman have quickly established her as a distinctive voice in New England’s comedy scene. 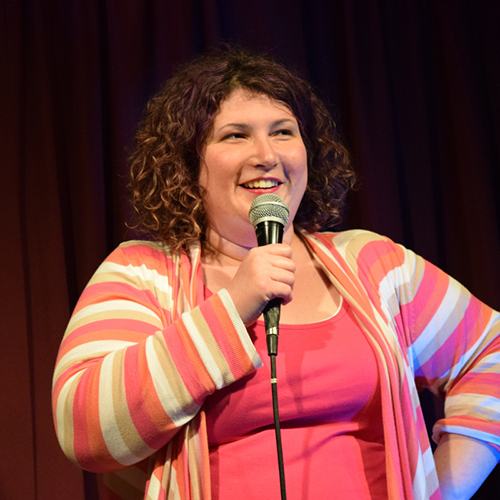 Emily Ruskowski is a Boston-based stand-up comedian. 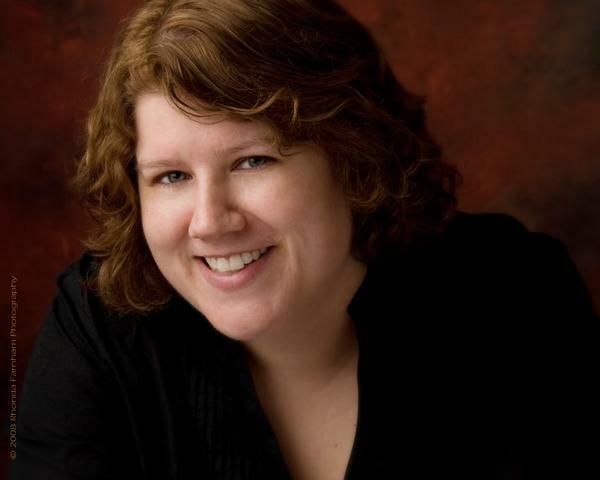 She has performed across the country and participated in several comedy festivals and has performed with Maria Bamford. Kathe Farris is a suburban housewife and mother of two teenagers. She shares her unsolicited advice and wisdom about everyday things from calcium supplements to the political awfulness behind book groups. 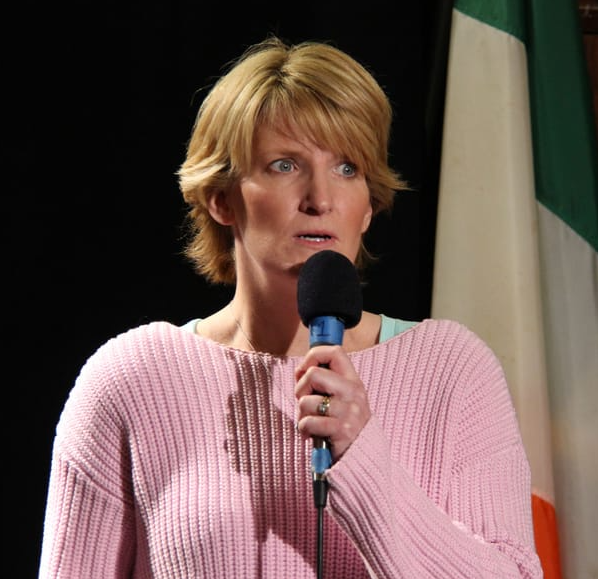 Carolyn Plummer is a Boston Headliner and a stand out performer at the Boston Comedy Festival puts a nail through the hearts of whiners, self-loathers and the self-sorry of the world and makes the average seem hilarious and larger than life. Most of all, Carolyn’s twisted perception of our common existence leaves audiences hysterically shaking heads in agreement that the world is indeed a very funny place. A featured panel on Saturday afternoon will be “Sweeney vs Sweeney: What’s so funny about making an independent film about a comedian” with members of the cast and producers of the new film that is getting critical acclaim. At 3:00 pm Saturday afternoon the comedic musical genius of Gwell-O takes the stage in the Courtyard unleashing a monstrous heavy metal musical presentation in full Kaiju costumes right out of a Transformers film, with audience engagement, they will amaze and amuse. Saturday night Nov. 24, the Boston Comedy Festival Presents ComicsCon’s “TV Stars of Comedy,” with Billy West (Futurama), Tony V (Seinfeld), Frank Santorelli (Sopranos), Jimmie Dunn (The McCarthy’s), Myq Kaplan (Last Comic Standing Finalist), Gary Sohmers (Antiques Roadshow), Big Jim McCue (Boston Comedy Festival) and Wes Hazard beginning at 7:00 pm. Admission is a separate guaranteed seat ticket, $20 in advance $30 at the door, and this admission ticket also includes a weekend pass to NEComicCon. Talent will be signing autographs at NEComicCon during the day Saturday. 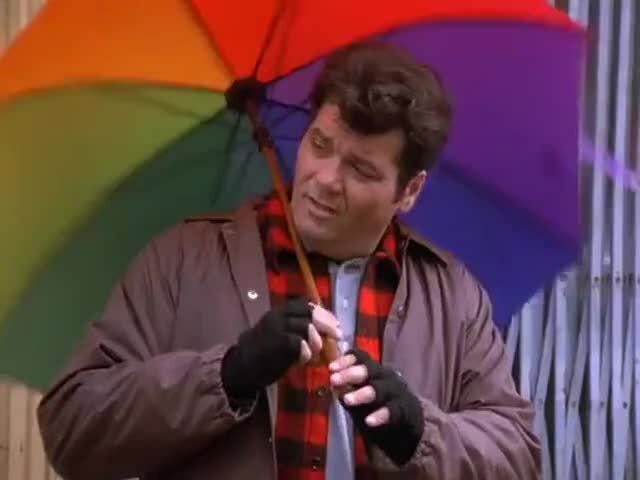 Tony V is famous as the Umbrella Guy on Seinfeld, the guy in the gorilla suit from the American Tourister ads and for numerous dramatic and comedic appearance on TV shows such as Conan O’Brian, Boston Common and Dr. Katz, and in movies such as Celtic Pride, Shakes The Clown and One Crazy Summer. 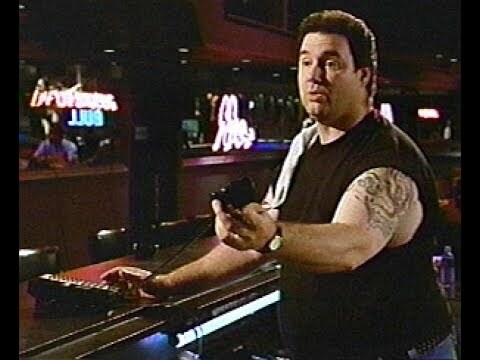 Tony also co-hosts a podcast “Two Boston Guys Whack Up a Pie” with Jimmy Dunn, actor and comedian who is most recognized from the CBS sitcom, The McCarthys, where he co-starred as Sean McCarthy. Jimmy has also appeared on The Late Show with David Letterman, CONAN, and Comics Come Home with Denis Leary. Boston Sports fans know Jimmy from his many appearances on NESN, (The New England Sports Network) when he was the co-host of Fan Attic. Myq Kaplan is a comedian named Myq Kaplan (pronounced “Mike”). He is a 2010 “Last Comic Standing” Finalist and has appeared on the Tonight Show, Conan O’Brien, the Late Show with David Letterman, Comedy Central Presents, and all the other places he’s been. You can listen to Myq’s podcast, Hang Out With Me, on the Keith and The Girl network. His debut CD, Vegan Mind Meld, was one of iTunes’ top ten best-selling comedy albums in 2010, followed by Meat Robot in 2013 and his one-hour Netflix special Small Dork and Handsome in 2014. A New England native, Wes Hazard has been named as one of “5 Boston Comedians to Watch” by The Boston Globe Magazine. He was awarded a New England Emmy and he currently co-hosts the national storytelling television program Stories From The Stage on PBS and in 2018 he appeared on Jeopardy!, becoming a 3-time champion. Sunday will feature live podcast recordings in front of an audience. Comedians Scott Higgins and Ace Aceto are 2 of New England’s favorite comedians. They now bring over 45 years of comedy experience to podcasting. Listen each week as they go Behind the Funny! What is Behind the Funny? It’s funny stories. It’s sad stories. It’s crazy stories. Have you ever watched a stand up comic and thought “Are they as crazy off stage as they are on stage?” The answer is YES! The Boston Comedy Festival aspires to be the best multi-day comedy event in the USA. Host and founder and comedian Jim McCue host a podcast that has become a who’s who of comedy talent that stops by to talk about what else all things comedy. 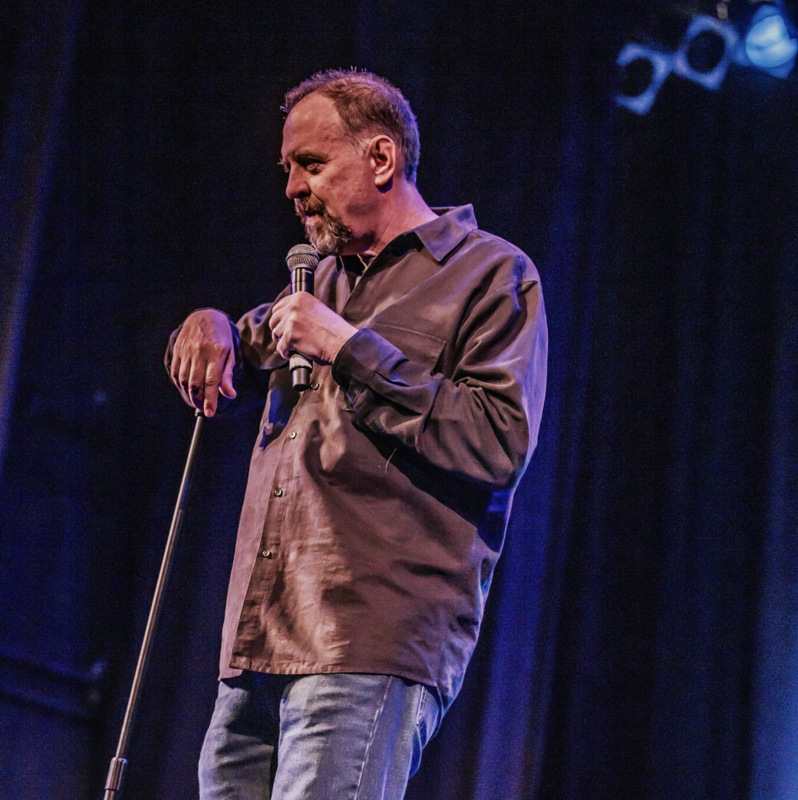 A mixture of witty “A-list material” and his ability to work off-script has earned Jim McCue the title “Boston’s King of Crowd Work!” It’s not only his height of six foot six that makes Jim stand head and shoulders above club comedians of the “stick-to-the-script” variety. 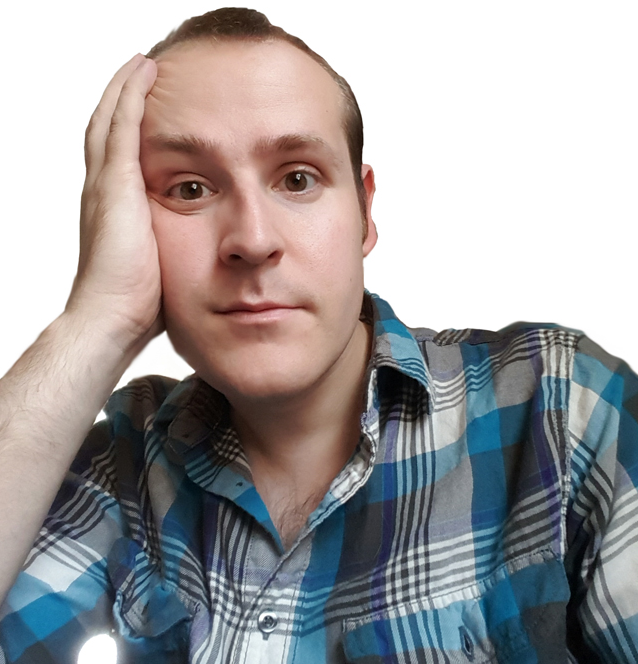 Jim blends thought-provoking material and uncanny improv skills with a style that encourages audience participation. No two shows are ever the same! Jim has been featured on Comedy Central, Comcast Comedy Spotlight, NBC’s “Last Comic Standing,” RedEye on Fox News, Live at Gotham AXS TV and “Roughing It” on NESN in his native New England. There are special Friday and Weekend VIP Passes that get you into all the comedy shows along with the ComicCon and concerts available, plus bonus autographed poster and laminated badge on our ticket page. Tony V is famous as the Umbrella Guy on Seinfeld, the guy in the gorilla suit from the American Tourister ads and for numerous dramatic and comedic appearance on TV shows such as Conan O’Brian, Boston Common and Dr. Katz, and in movies such as Celtic Pride, Shakes The Clown and One Crazy Summer. Tony also co-hosts a podcast “Two Boston Guys Whack Up a Pie” with Jimmy Dunn. Performing Saturday Nov. 24 at the TV Stars of Comedy show at 7:00 pm. Frank Santorelli is best known for playing the recurring role of “Georgie the Bartender” in The Sopranos and starring in numerous movies, including “No Reservations,” “Meet the Parents” and “Crooked Lines.” Performing Saturday Nov. 24 at the TV Stars of Comedy show at 7:00 pm. Myq Kaplan is a comedian named Myq Kaplan (pronounced “Mike”). He is a 2010 "Last Comic Standing" Finalist and has appeared on the Tonight Show, Conan O’Brien, the Late Show with David Letterman, Comedy Central Presents, and all the other places he’s been. You can listen to Myq’s podcast, Hang Out With Me, on the Keith and The Girl network. His debut CD, Vegan Mind Meld, was one of iTunes’ top ten best-selling comedy albums in 2010, followed by Meat Robot in 2013 and his one-hour Netflix special Small Dork and Handsome in 2014. Performing Saturday Nov. 24 at the TV Stars of Comedy show at 7:00 pm. 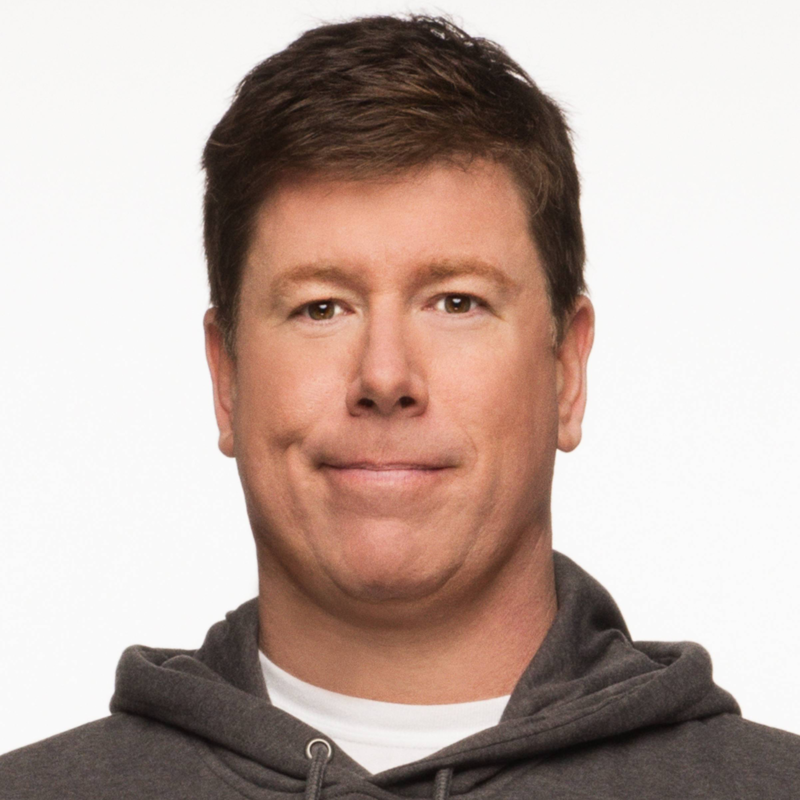 Jimmy Dunn, actor and comedian who is most recognized from the CBS sitcom, The McCarthys, where he co-starred as Sean McCarthy. Jimmy has also appeared on The Late Show with David Letterman, CONAN, and Comics Come Home with Denis Leary. Boston Sports fans know Jimmy from his many appearances on NESN, (The New England Sports Network) when he was the co-host of Fan Attic. Performing Saturday Nov. 24 at the TV Stars of Comedy show at 7:00 pm. A New England native, Wes Hazard has been named as one of “5 Boston Comedians to Watch” by The Boston Globe Magazine. 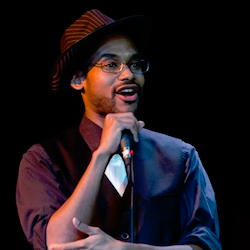 A writer and storyteller as well as comedian, Wes brings wit, energy and honesty to the stage, qualities that have made him a regular performer in Boston venues as well as at The Boston Comedy Festival and The Women in Comedy Festival. Wes is a multiple-time winner on The Moth StorySLAM stage and he’s appeared as a guest on the Comedy Bang! Bang! Live! podcast and The Story Collider podcast. His debut humor book Questions For Terrible People was published by Simon & Schuster in 2016, and in 2017 he was awarded a New England Emmy for his hosting work on CBS Boston's The Secret Worlds of Boston Comic Con. 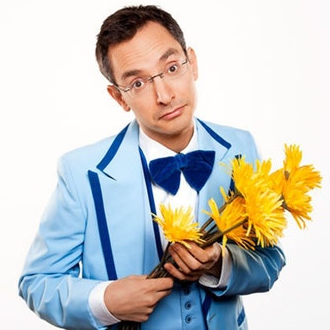 He currently co-hosts the national storytelling television program Stories From The Stage on PBS and in 2018 he appeared on Jeopardy!, becoming a 3-time champion. Performing Saturday Nov. 24 at the TV Stars of Comedy show at 7:00 pm. A mixture of witty “A-list material” and his ability to work off-script has earned Jim McCue the title “Boston’s King of Crowd Work!” It’s not only his height of six foot six that makes Jim stand head and shoulders above club comedians of the “stick-to-the-script” variety. Jim blends thought-provoking material and uncanny improv skills with a style that encourages audience participation. No two shows are ever the same! Jim has been featured on Comedy Central, Comcast Comedy Spotlight, NBC’s “Last Comic Standing,” RedEye on Fox News, Live at Gotham AXS TV and “Roughing It” on NESN in his native New England. Jim also founded and currently runs The Boston Comedy Festival. Performing Saturday Nov. 24 at the TV Stars of Comedy show at 7:00 pm. Gary Sohmers is known as the King of Pop Culture, did over 80 on camera appraisals over 13 seasons on Antiques Roadshow and knows the value of 100,000 useless objects. When he’s not producing comic cons, buying or selling your youth or appraising a collection, he is hard at work producing his new musical for Broadway “Beasties: A Sci-Fi Rock Opera.” Performing Saturday Nov. 24 at the TV Stars of Comedy show at 7:00 pm. Emily Ruskowski is a Boston-based stand-up comedian. She has performed across the country and participated in several comedy festivals. Performing Friday Nov. 23 at the Women of Boston Comedy Festival show at 9:00 pm. Erin Spencer is a Boston-based comic whose dispatches from life as a single transgender woman have quickly established her as a distinctive voice in New England's comedy scene. Performing Friday Nov. 23 at the Women of Boston Comedy Festival show at 9:00 pm. Kathe Farris is a suburban housewife and mother of two teenagers. She shares her unsolicited advice and wisdom about everyday things from calcium supplements to the political awfulness behind book groups. Performing Friday Nov. 23 at the Women of Boston Comedy Festival show at 9:00 pm. 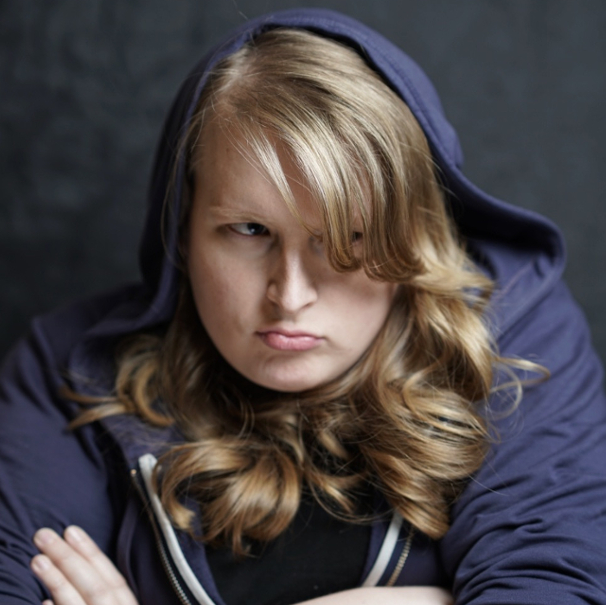 Carolyn Plummer Is a Boston Headliner and a stand out performer at the Boston Comedy Festival .puts a nail through the hearts of whiners, self-loathers and the self-sorry of the world and makes the average seem hilarious and larger than life. Most of all, Carolyn's twisted perception of our common existence leaves audiences hysterically shaking heads in agreement that the world is indeed a very funny place. Performing Friday Nov. 23 at the Women of Boston Comedy Festival show at 9:00 pm. Roger Kabler performs his “Spirit of Robin Williams” tribute show, an incredible journey into the fun and depth of a timeless comedian. Performing Friday Nov. 23 at 7:00 pm. 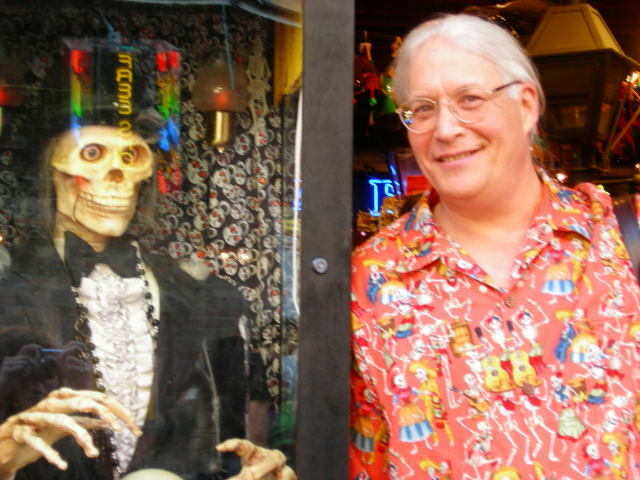 Mark is a stand up comedian and host of "Fraudio Commentary" a real podcast about real comedians posing as fake people who worked on a real movie. Think MST3K meets Comedy Bang Bang!" with Will Pottorf, and Riley Knispel. The Boston Comedy Festival aspires to be the best multi-day comedy event in the USA. Host and founder and comedian Jim McCue host a podcast that has become a who's who of comedy talent that stops by to talk about what else all things comedy. If we could mention just a few: Comedian Robert Kelly, Comedian Steve Sweeney on film premiere"Sweeney Killing Sweeney", Boston Comedy Legend Tony V, Nick Zaino Boston Globe Contributor, Director "Airplane" David Zucker, Iconic Emmanuel Lewis, Comedian Bill Burr, Mike, and Molly Star Billy Gardell, Conan Head Writer and Comedian Brian Kiley, BCF Comedian of the year Dana Gould, George Wallace, Todd Barry, Emo Philips, Nick Di Paolo: Comedy,being attacked by fan, tough crowd, fired by Sirius and many more! Comedians Scott Higgins and Ace Aceto are 2 of New England's favorite comedians. They now bring over 45 years of comedy experience to podcasting. Listen each week as they go Behind the Funny! What is Behind the Funny? It's funny stories. It's sad stories. It's crazy stories. Have you ever watched a stand up comic and thought "Are they as crazy off stage as they are on stage?" The answer is YES! 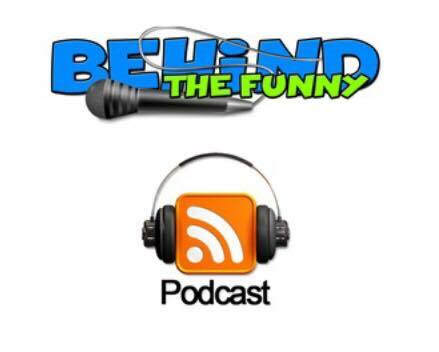 Subscribe to Behind the Funny wherever you get your podcasts today!